Join hundreds of PTs, PTAs and Students at the Massachusetts State House to advocate for our profession and our patients. We NEED your support. Occuring concurrently with this event, APTAMA will host a Scope of PT Practice Fair in the State House Great Hall. APTAMA invites students graduating in 2019 to celebrate your achievements! Network with your soon to be colleagues. President Heather Jennings, President-Elect Eric Folmar, your Early Professional SIG Leadership and others from APTAMA leadership team look forward to celebrating with you. Southcoast Health in Wareham, MA. Take away information that you can immediately use in your practice to understand probable suspects involved in shoulder impingement and add functionally integrated exercise for the shoulder into your toolbox. 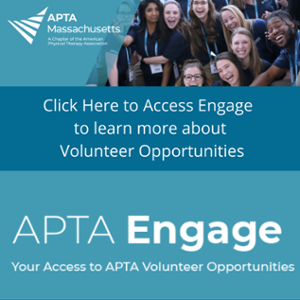 Join the Geriatric SIG as a LSVT BIG® Certified clinician discusses how amplitude based training can help patients with a diagnosis of Parkinson's Disease. APTAMA Board meets to advance the 2019 Strategic Plan. This seminar will focus on lower-lower extremity biomechanics with use of manual techniques to assess for faulty biomechanics, in addition to focused mobilization and/or thrust joint manipulation techniques for intervention. APTAMA Assembly of Representatives meets to discuss motions and business to move the profession and Chapter forward. Immediately following the close of Assembly business, the Delegates Forum will commence with updates on motions coming to APTA House of Delegates in June. 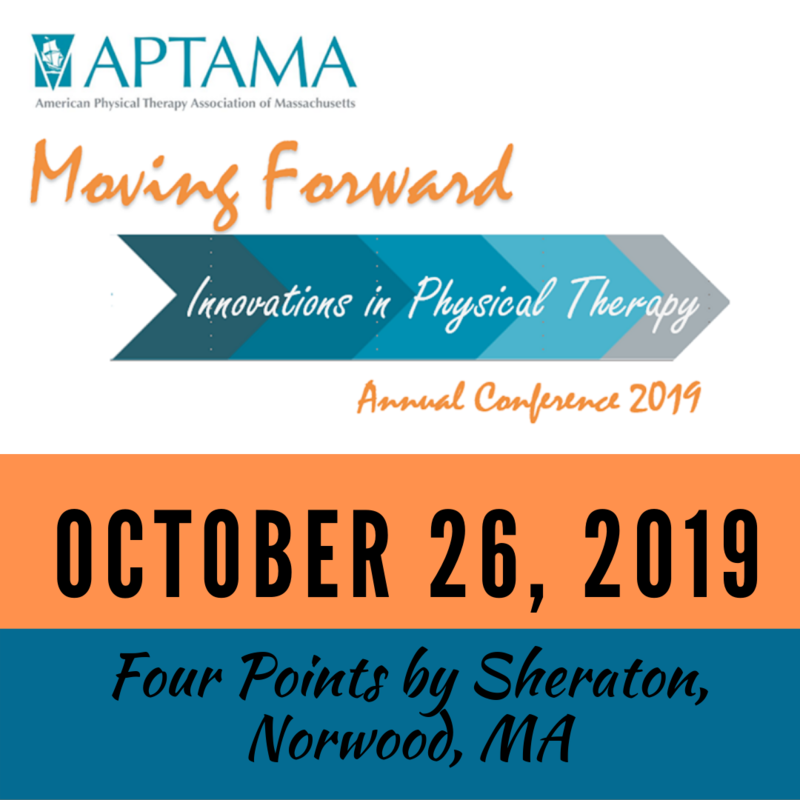 APTAMA Annual Conference brings networking, new updates in the field and profession and evidence-based practice to you all in one day. APTAMA Assembly of Representatives meets to discuss motions and business to move the profession and Chapter forward.